If you invested in energy over the last few years, you would have mixed returns, depending on when you started. At the start of this decade, deep-water drillers and integrated oil and gas firms enjoyed high oil prices. Markets and pundits all predicted oil prices would cross and sustain the $100/bbl level. This forecast proved very wrong. Excessive oil production and exploration led to excess supply and prices plunged. In the last two years, oil prices bounced off multi-year lows and by late last year, investors who bought at the bottom could have locked in gains. So far this year, most mega-cap energy firms are up nicely so investors may question how much more upside remains. With attractive dividend yields at current levels and dividend growth ahead due to higher free cash flow from operations, investing in the energy sector remains bright. If surging oil prices continue, what energy stocks should investors buy? 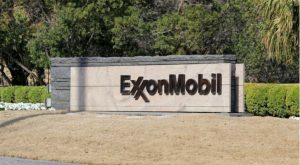 In the major integrated oil and gas segment, Exxon Mobil (NYSE: XOM) shares are close to 52-week highs and are trading at around $82. The company updated its growth plans and believes additional upside is possible. It now forecasts earnings growing by over 140% by 2025 from 2017 levels. Previously, it expected growth of 135%. Exxon assumes oil prices are at least $60 per barrel and margins are consistent with 2017 levels. From 2019 through to 2025, cumulative earnings should increase by $9 billion. By 2025, cash flow from operations will reach $60 billion, assuming the $60/bbl oil price and 2017 margin levels. This will result in cash flow from operations adding $24 billion more than previously expected. Successful exploration activities in upstream and in Guyana and Brazil will increase Exxon’s resource base by 1.3 billion oil-equivalent barrels. And in Guyana, Exxon estimates that it has around 5.5 billion oil-equivalent barrels in gross recoverable resource. Exxon gets plenty of analyst coverage, with Tipranks reporting that 14 analysts have an average price target of ~$86 on the stock. Though the implied upside is just 5.6%, investors may start a small position on the stock while collecting dividends yielding 4%. At the macro level, Chevron (NYSE: CVX) expects a supply gap of 42 mmbd will drive demand through to 2040. To grow its profitability from this demand-supply dynamic, the firm must maintain its cost discipline as it invests to capture more of the market. In the fourth quarter, Chevron earned $3.7 billion, an EPS of $1.95. Cash flow from operations totaled $9.2 billion. It maximized shareholder returns by paying out $2.1 billion and by buying back $1 billion in shares in the quarterly period. Chevron’s cash flow growth trends in the last three years suggest that investors will get a stable dividend payout for years to come. In 2018, free cash flow totaled $16.8 billion while the company returned $10.3 billion to shareholders. The cushion of $10.3 billion in cash at the end of 2018 allows Chevron to deliver on four priorities. First, to maintain and grow its dividend, fund capital programs, having a strong balance sheet and to return the surplus cash to investors. Chevron forecasts upstream revenue of 4% — 7%. Its dividend will increase $0.07, while share repurchase will total $1 billion. The firm’s cost reduction trends will continue through 2020, thanks to the use of technology enabling increased efficiencies. Investors expect production costs to fall below the $10 level in 2020, down sharply from around $18 in 2014. Based on 15 analysts covering CVX stock, the average price target is $138, which implies that investors could get 10.6% in upside. 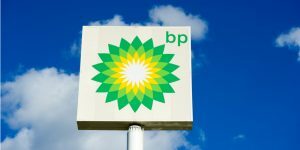 With a dividend yield of 5.5%, BP plc (NYSE: BP) remains an attractive investment for income investors. The vertically-integrated firm faced negative headwinds in the fourth quarter when Brent crude prices averaged $69 per barrel. This is down from $75 a barrel in the third quarter. BP is comfortable with oil prices at $50 because its books are balanced at that level. But with prices already higher than that, BP thinks $60 is more constructive and that prices will hold high levels. Regardless of energy prices, BP will continue disposing of assets through the back end of 2019 and into 2020. This will improve BP’s balance sheet as its debt obligations shrink. Expect BP to build on a strong 2018 performance where it delivered $7 billion in free cash flow. This strong, positive momentum will put the firm on track to deliver on its 2021 targets. This is driven by marketing, continued expansion on its convenience partnership model, and the addition of over $1 billion in earnings growth in the next five years from business improvement plans. ConocoPhillips (NYSE: COP) offers a dividend yield of 1.8%. In 2018, COP delivered on its priorities by achieving a 12.6% ROCE, a $15 billion debt target ahead of plan, $3 billion in share buybacks, and returned 35% of cash flow from operations to shareholders. ConocoPhillips reported $4.54 EPS. Free cash flow topped $5.5 billion. Similar to BP selling assets, ConocoPhillips generated $1.1 billion from the disposition in proceeds. Within its portfolio, it completed its acquisition in Alaska and progressed in its exploration and appraisal in Alaska, Montney, and LA Austin Chalk. For 2019, COP is budgeting $6.1 billion for capital expenditures, plans $3 billion in share buybacks, and will deliver a total shareholder payout of over 30% cash flow from operations. 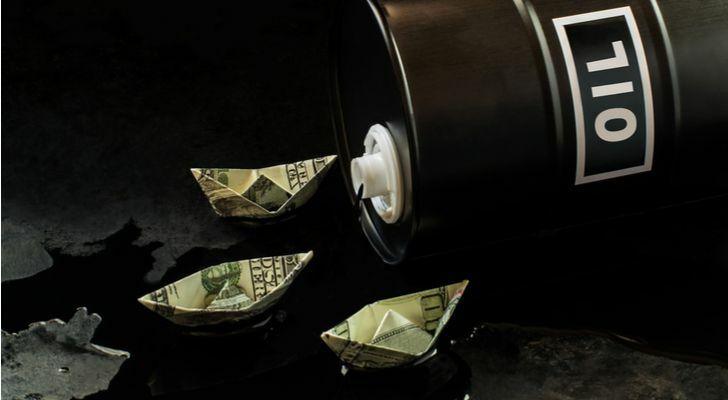 COP assumes that each dollar change in the price of WTI crude will have a $30 – $40 million impact on net income. With Brent, the change will have a $155 – $175 million impact on net income. By building a price sensitivity of $45 – $75 on WTI crude, the company will have the flexibility in ensuring cash flow meets dividend and operating cost obligations for the year. 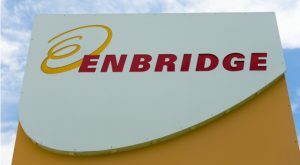 In the oil and gas pipeline subsector, Enbridge (NYSE: ENB) continues to perform well. The company reported strong Q4 results in February. With strong demand for energy, investors should expect the company to continue doing well this quarter and next. Enbridge generated $1.86 billion in distributable cash flow in the quarter and $7.62 billion for the year. EBITDA, which came in at around $13 billion, and distributable cash flow at $7.6 billion translates to $4.42 a share in DCF. In addition to the strong results, Enbridge accelerated its de-levering, streamline the business through cost cuts and efficiency gains and extending growth. Enbridge’s de-levering progressed nicely since 2016. Consolidated Debt to EBITDA fell from 6x in 2016 to the 4.5 range in 2018. Enbridge’s $9 billion of projects brought into service in 2018 will add meaningfully to results this year. Asset sales will offset EBITDA but ongoing cost management and revenue optimization will lead to another strong year. Last year, Ontario regulators approved a merger between Enbridge and Union Gas. Expect the company to realize synergies from the amalgamation this year. Looking ahead to 2020, expect EPS of $4.85 to $5.15 a share. Much of the 14% EBITDA growth over 2019 comes from the contribution from the Line 3 Replacement project. Free cash flow, net of dividends and maintenance costs, could top $3.5 billion. The $5 billion – $6 billion in available cash will give Enbridge lots of opportunities for deploying available capital in low-risk growth projects. Antero Resources Corporation (NYSE:AR) exceeded its operational goals in 2018. In Antero’s production growth plans through 2023, the company assumes WTI crude will be in the range of $50 to $65 a barrel. Natural gas will be in the range of $2.85 to $3.15 per MMBtu. The key takeaway from the assumptions is that the company expects volatility in energy prices. But it will carry out projects in a flexible manner. When prices are low, Antero will spend within cash flow constraints and if prices improve, it will grow production to maximize its free cash flow. For 2019, management will continue to spend its cash efficiently on projects. But the markets are very bearish on this exploration firm: shares are languishing in the $8.30 range and show no sign of rebounding. Antero Resources set a drilling and completion capital budget of $1.3 billion to $1.45 billion. Transocean (NYSE RIG) has divested 12 ultra-deepwater, 37 deep-water/midwater, and 15 jackups since 2014. It has liquidity of $3.2 billion and $12.3 billion in backlog. That the company’s debt is too high is both a blessing and a curse. At current oil prices, Transocean is pressured to sell down assets to pay down its debt levels. But as prices improve, Transocean’s levered balance sheet could result in relatively better results. Transocean has an estimated $12.3 billion backlog, 95% of which are with investment-grade companies. Although backlog is $2.4 billion this year and next, it will fall to $1.3 billion by $2023. Improving drill rates and energy demand could, over the next few years, drive backlog levels higher. With the markets still unfavorable for Transocean, the company must preserve EBITDA through the cycle. Still, Transocean’s recent acquisitions will firm up day rates. It acquired Ocean Rig, Sonza Offshore, and took a 33% joint venture interest in Transocean Norge. Analysts are bullish on RIG stock and collectively have an average price target of $11.33 a share. At a recent price of $8.33, the potential upside for holding the stock is 29%. Disclosure: Author owns shares of Transocean and BP plc.